Ningbo Didadi Import & Export Co., Ltd.
Shanghai Winning Garment Accessories Co., Ltd. 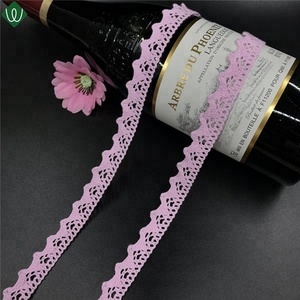 Fancy Pink Raschel Flower Lace Trim for Lady Underwear Decoration More details Products details Code Number L-008 Material Spandex/Nylon Usage lady garments, lady underweards, cuff, neckline decoration Sample lead time Usually have white and black in stock, can send out as requested Bulk Delivery normally about 12-15 days DTM color available to match Pantone color card MOQ 3000yards if no stock MORE STYLES MORE ABOUT US Packaging & Shipping Winning will always select the most suitable shipping ways for you, customers appointed forwarders also welcome There still thousands of styles, send me inquiry for more designs now!!! Shaoxing Xinrui Textile Co., Ltd.
our qc team also makes double checks to an aql of clients choosing before packaging. we will supply the tracking number once shipped. Technology Adopt international advanced technology, high product purity. Equipment With world-class testing equipment, products reach the international advanced level. 4.Packing details9 Inner Packing: Packed by roll, then wrapped in plastic bags. Q: Is it ok if I want to order the this design but without beads9 A: Yes, it is ok, the price will much more cheaper without the beads. Q: I have my own pattern, can you make it for me9 A: Yes, you can send us your real sample, then we can make a counter sample for you. Q: How should I place the order9 A: Dear, please contact us, our professional customer service staff will inform you, thanks. Q: I have my own pattern, can you make it for me9 A: Yes, you can send us your real sample, then we can make a counter sample for you. Q: What's the lead time of shipping A: It depend on the way you choose, please see the detail as below By express, like DHL, UPS, Fedex, it takes 5-7 days. Q: How should I place the order9 A: Dear, please contact us, our professional customer service staff will inform you, thanks. *add to my favorites detailed images *click here to order your aso ebi lace! shipping dhl, ups, ems, fedex, sf,. dear friend , send me inquiry for more detail !! welcome to our company at any time ! 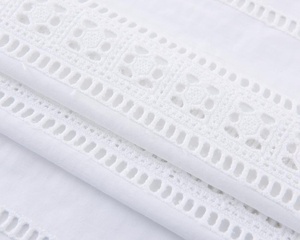 Shaoxing Carilo Textile Co., Ltd.
sunway mainly supply all kinds of african lace, cotton voile lace,organza lace,headties. FLC132 Material Spandex+Nylon Color DTM any colors with 99% matchable shades! orders for DTM colors with 99% matchable shades. 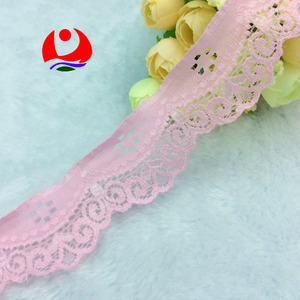 (4)Our lace quality is with with thick spandex and strong elastic. our products including ribbon, ribbon bows, artificial flowers, hair bow, gift bow etc. (color, logo, design, package, carton mark, your language manual etc., ) we can let your idea come to be a real item. with a wide range, good quality, reasonable prices and stylish designs, our products sell well in the usa, canada, uk, europe, africa and soon. we have strictly quality control system in cotton fabrics production process. 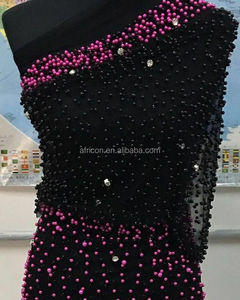 Alibaba.com offers 43,516 fancy lace products. About 24% of these are lace, 7% are plus size underwear, and 1% are trimming. 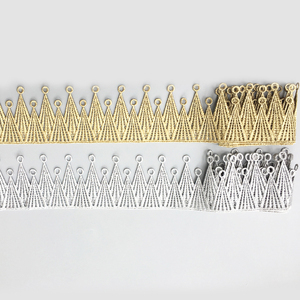 A wide variety of fancy lace options are available to you, such as eco-friendly, water soluble, and elastic. You can also choose from 100% cotton, 100% polyester, and polyester / nylon. As well as from embroidered, crocheted, and knitted. And whether fancy lace is mesh, voile, or organza. 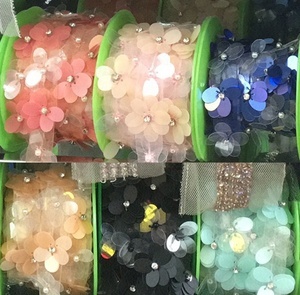 There are 43,334 fancy lace suppliers, mainly located in Asia. 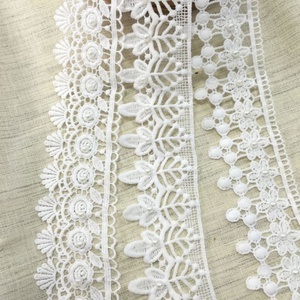 The top supplying countries are China (Mainland), India, and Pakistan, which supply 94%, 3%, and 1% of fancy lace respectively. 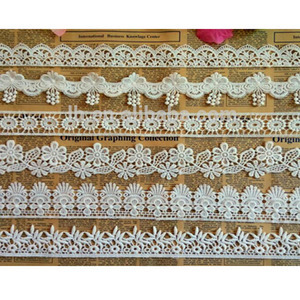 Fancy lace products are most popular in North America, Western Europe, and Eastern Europe. You can ensure product safety by selecting from certified suppliers, including 2,054 with Other, 1,403 with ISO9001, and 837 with BSCI certification.